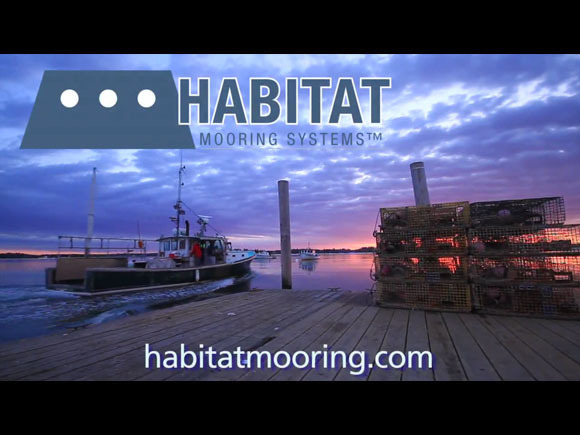 June 2014: Jamie Steeves, of J & J Lobster Co. in Rockland, Maine, gives a demonstration of the Habitat Mooring. 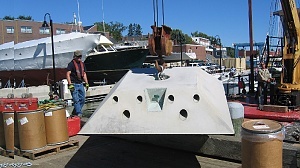 April 2012: Steve McMullen, of Bay Services in Sorrento, Maine, gives a demonstration of the Habitat Mooring. 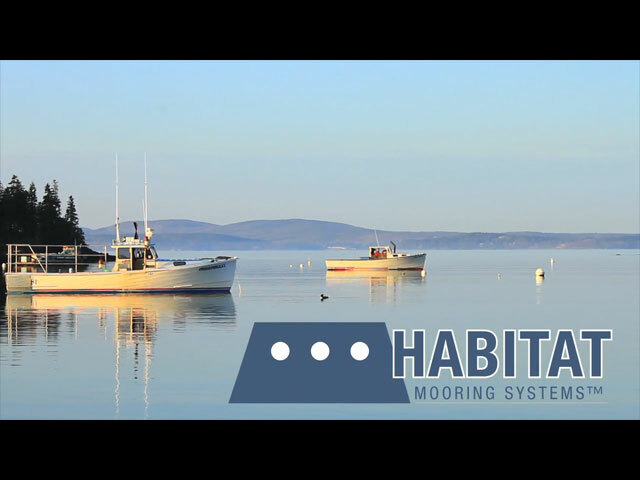 July 28, 2010: Habitat Mooring was featured on Your Bangor News on WVII/WFVX. University of Maine to assess the effects on marine habitat. Matt Knox readies Habitat Mooring at low tide, adjacent Seal Harbor Town Dock. 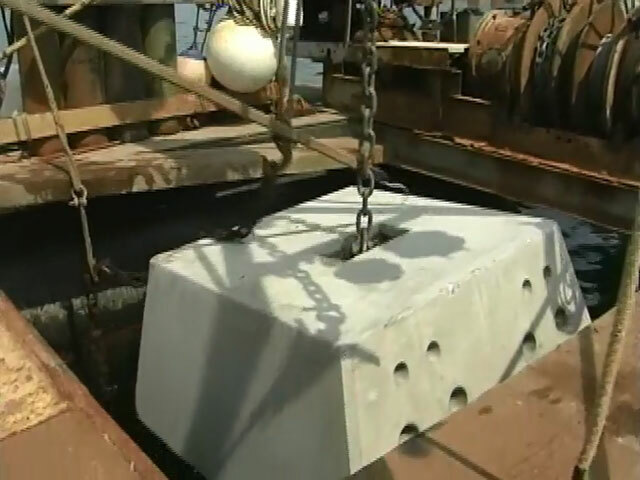 At next high tide, he hoisted mooring onto barge Alvah B. for deployment.